Squirrels are abundant in the wilds because their natural predators are less abundant. Because of this population increase and a decreasing natural habitat due to construction, we start to see them in our attics. 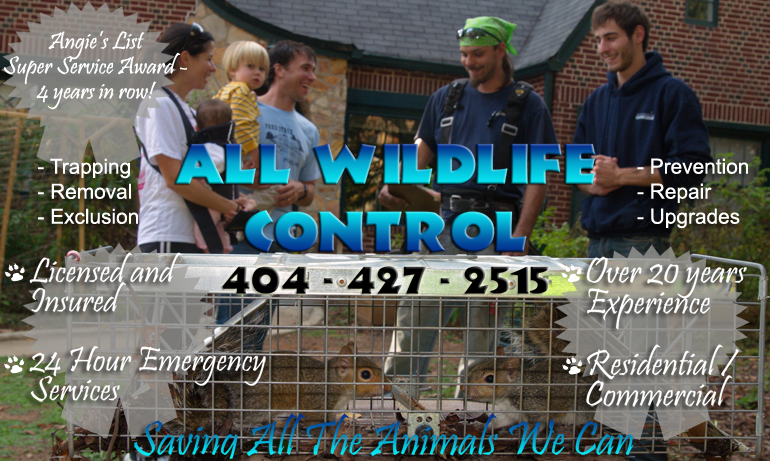 They seek warm, safe shelter during the fall and winter months in particular. Gray Squirrels are about 18 inches long, including their 9 inch tails, and larger than the flying squirrels. They weigh about 1-1.5 lbs. as an adult. Generally have 2 litters a year, 2-4 young per litter. They normally breed in midwinter and late spring. Gestation is about 44 days. Diet consists of bird eggs, insects, berries, fruit, vegetables, nuts and nestling birds. They like to hoard their food. Gray Squirrels are active during the day, expecting to hear them during the daytime. They can be aggressive especially if they’re defending their young. 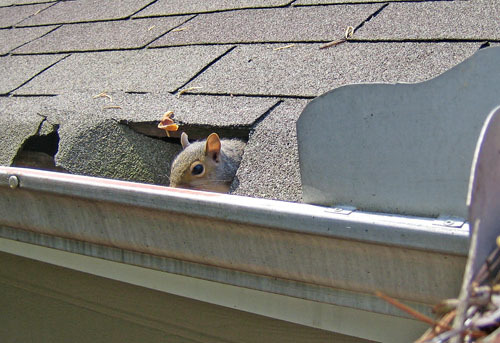 Gray Squirrels can inhabit the attic areas as well as crawl spaces. They like to enter the attic areas from your gutters and nearby trees and bushes. Scratching sounds during the day time in the attic, eaves or soffits, visual sighting of droppings in the attic, chew marks on baseboards and soffit boards, and channeling through the insulation point to Gray Squirrel activity. Once in a home, they could cause damage including chew holes in wood siding, louvers, roofs, eaves, gutters, and soffits. 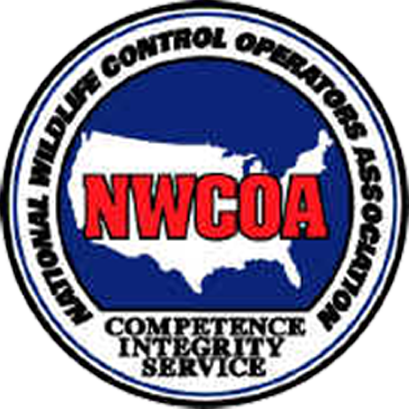 Full exclusion to seal ALL current and potential entry points is the only way to assure squirrels do not continue to damage the home and create new entry points in. 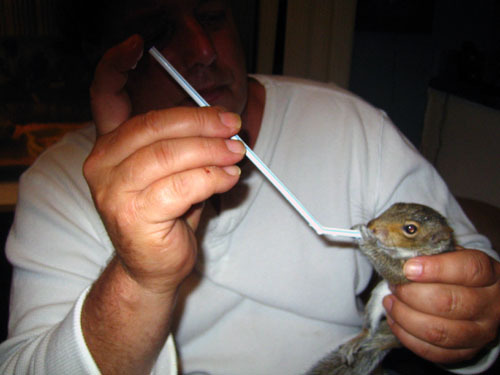 Licensed professionals should be called to exclude squirrels from a home. Homeowners attempting exclusion often close one hole, trapping squirrels inside and resulting in extensive damage as they try to find ways to get back out. Baby Gray Squirrels can do the same damage similar to a puppy when it is first born, chewing on everything they can get to including electric wiring, wood, etc. causing costly damage , in some cases causing fires. As with all attic dwellers, gray squirrels have a latrine area which can create airborne health hazards including viruses cased by dried rodent feces. They are susceptible to a variety of parasites and diseases including fleas, lice, Squirrel Pox , rabies, tularemia, Mange (disease caused by mites), Rocky Mountain spotted fever, human monocytic ehrlichoiosis, and Baylisascaris (a roundworm found mostly in raccoons that can pass to humans, but also found in squirrels. They also shed hair and bring in parasites when they move into a building. 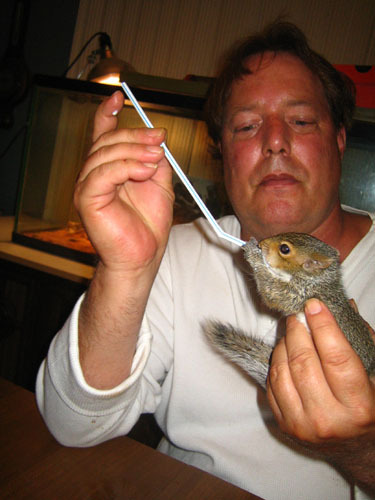 Fox squirrels measure 18 to 27 inches (46 to 69 cm) from nose to tip of tail. They weigh about 1 3/4 pounds (787 g) to 2 1/4 pounds (1,012 g). Color varies greatly, from all black in Florida to silver gray with a white belly in Maryland. Georgia fox squirrels usually have a black face. 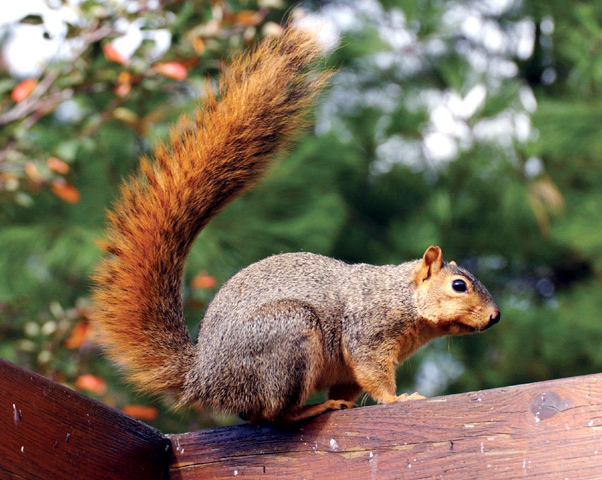 Ohio and Michigan fox squirrels are grizzled gray-brown above with an orange underside. Sometimes several color variations occur in a single population.